knock out credits DURING winter break! Whether you are trying to get ahead, make eligibility, or get a head start on a tough semester. ONLINE- take from wherever you are over break. Credits TRANSFER to any college or university. Have questions? Fill out the form to learn more about our Winter Classes. 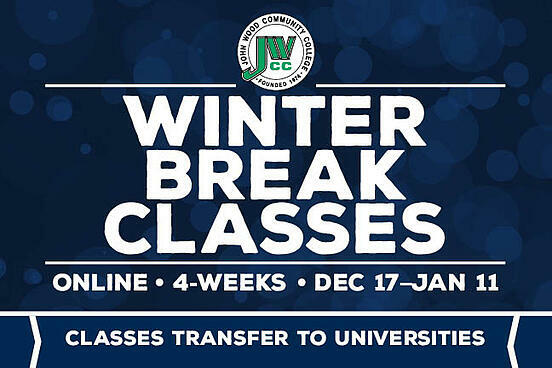 If you are ready to get registered for winter classes, fill out this registration form (Registration-Transcript-Request) and submit (will open in your email with form attached and email to: advising@jwcc.edu).